So I had the chance to run Temple of the Jade Serpent the other day. Originally I planned to Fraps the whole thing for you guys, but my client bugged out and made everyone but our bear tank invisible (including myself), so I figured it was a bit redundant. Instead however I will talk a bit about my impressions of the changes made to Holy. So I admit that I haven't been following these things super closely. Everything has been changing so much there didn't seem much point. On the surface though, the new Holy Paladin feels pretty similar to what we have on live already. There seem to be a lot of subtle little things going on though, and I'm kind of liking what I see. For the most part. So with that said let's talk instead about what I didn't like. Essentially this list is entirely made up of things that were removed. The first thing is that we have been greatly neutered in terms of our offensive tools. 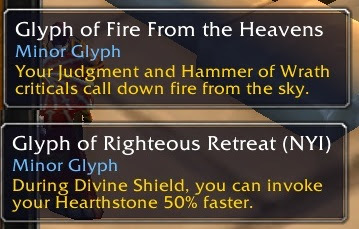 We have some neat new glyphs that allow us to have decent damage output, but we just don't know Hammer of Wrath, Consecration, or Holy Wrath any more. It just feels so very wrong, even if they aren't abilities that ever saw much use from a healer. The other thing that bugged me was that Daybreak seems to be missing, and good lord is it missed. 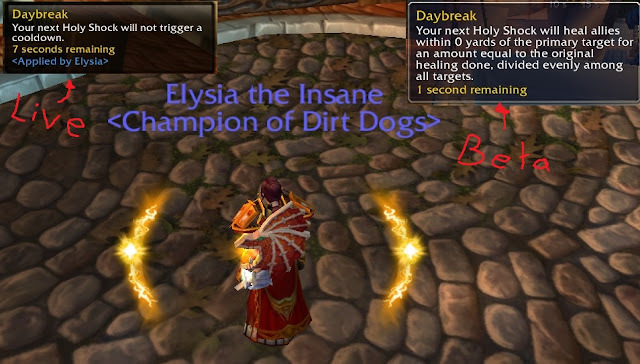 Daybreak is of course the proc that is triggered from your direct cast time heals which causes your next Holy Shock to have no cooldown. I'll talk a bit more about this in the next section though. We also lost Protector of the Innocent, but honestly that always felt OP and a little silly to me anyways. There is however a glyph of Protector of the Innocent which heals yourself for 20% of your Word of Glory. Also... What happened to Guardian of Ancient Kings!?!?!?!?!? So Holy Power had a pretty different feel to it, and for the most part I gotta say I like it. The biggest difference is that now Paladins can stock up to 5 HP at a time, but no ability will ever consume more than 3. To me this change is brilliant. It means that the rotation is going to be more thoughtful for all three specs. This is especially true for Holy I think, since we seem like the spec most likely to conserve Holy Power for an opportune moment. With that said however, the lack of Daybreak changes the flow pretty heavily for me. The issue is that it makes Holy Power generation feel a bit gimped. Without using Crusader Strike or Holy Radiance you are basically hard capped at exactly 1 HP every 6 seconds. This feels bad when considering some of the new talents and will likely lead to a play style that necessitates the use of Crusader Strike a bit more. One other thing worth mentioning is that despite Daybreak no longer being present, it's proc graphic is still present. It was very hard to remember that seeing this graphic no longer means I can use another Holy Shock. So for some classes, their talents represent a plethora of new fancy toys to play with. For Paladins this isn't so much the case. Our lvl 90s look amazing, but beyond that it's a bit of a mixed bag of useful, but somewhat boring utility. However our lvl 45 tier is pretty interesting for healers, and probably tanks as well. In particular we have two abilities - Eternal Flame and Sacred Shield - with similar functionality. They are 30 second buffs that can only be active on one target (likely the tank). Eternal Flame is a HoT, and Sacred Shield absorbs damage every 6s. The end result is similar but they seem like neat tools. I was rather enjoying the use of Eternal Flame and I'm very curious to see how well it performs once we have recount on the beta. So there were a fair few little things that I noticed beyond the fairly core aspects mentioned above. Pretty much all of them are pretty nice, too. Probably the biggest in my mind is that seal functionality has changed. Paladins now have a seal bar above their bottom-left action bar, much like other classes have stances or what not. Convenient. More importantly though, seals now have no duration and persist through death. This makes me really happy, it's actually one of the first things I suggested in the last Paladin feedback thread. No more hitting that seal button before you can actually do anything after taking the brez. Similarly, Beacon of Light no longer has a duration, which is nice. There are a few pretty interesting glyphs out there too. The one that stands out the most to me is Divine Plea. It changes Divine Plea from a "get mana but be useless for 9 seconds" to "cast this for 5 seconds, get mana". It's faster, it's more direct and I love it. Granted you don't have the benefit of being able to run around while getting your mana, but it always felt silly to me to hit Divine Plea and basically be forced to sit there and do nothing until it's over. Glyph of Battle Healer intrigues me as well, it basically allows your Seal of Insight to heal nearby allies, which is pretty nifty considering I tend to spend a pretty good amount of time meleeing due to Seal of Insight's mana restoration. I don't feel like I will be able to give it any real testing until I'm familiar enough with the changes to actually spend that time meleeing though (also, going back to default UI doesn't help that comfort level). 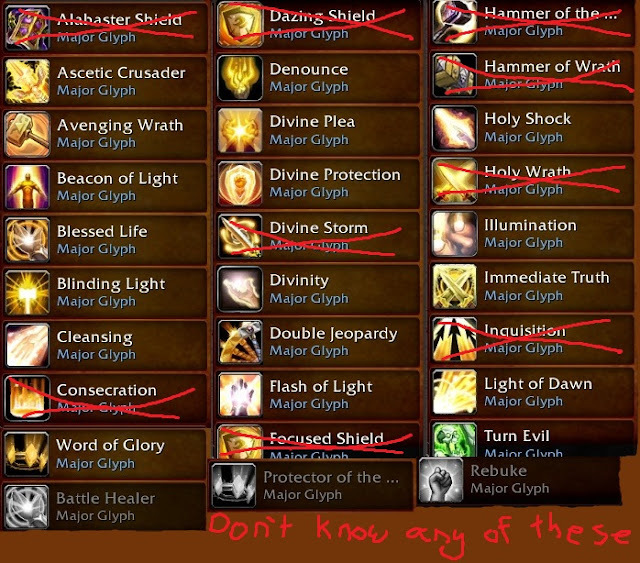 I just want to say that in general I'm liking what I'm seeing from Paladin glyphs so far. They seem to be pretty interesting choices, and none of them appear to be clearly optimal in all situations. At the same time, pretty much all of them seem like there are situations where they would legitimately be good to have. The minor glyphs seem for the most part, legitimately fun too, which is saying a lot compared to the garbage we have on live. One thing that really intrigues me is that Holy Paladins have 3 glyphs that give them a solid damage boost, which as a prot/holy paladin whose prot gear is a tier old, makes me pretty happy. I was seriously worried about how I was going to level in MoP. 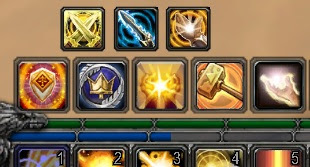 The one thing I wanted to mention however was that a lot of glyphs seem to effect abilities that aren't available to all specs, which seems odd. It's annoying enough not having Inquisition or Hammer of Wrath (in either of my specs, actually), but seeing those glyphs in my book feels weird. I'm pretty sure this is also true of live, I don't think there is anything stopping me from slotting glyph of Templar's Verdict despite not having a ret spec. It's just weird to me to both be losing so many abilities that are iconic of the entire Paladin class (and not just a single spec), and then also have glyphs for pretty much every one of those abilities.